Keen on cycleways? Want to see the full 70km of the Te Awa River Ride completed? The Waipa District Council is currently seeking feedback on its cycleway spending plans, including the Te Awa River Ride, which will go through Tamahere. 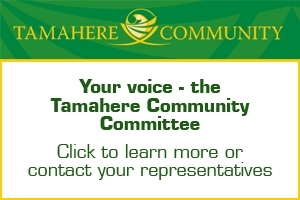 The Te Awa Trust has approached the Waipa council seeking support towards the Avantidrome-to-Hamilton section of the River Ride and is encouraging locals to weigh into the discussion. Waikato District Mayor Allan Sanson is one of three Waikato mayors who will next week sign agreements committing their councils to the Te Awa Great New Zealand River Ride. The cycle trail will follow the Waikato River for 70km, from Ngaruawahia through Tamahere to Horahora, opening up parts of the wider Waikato not usually accessible to visitors.